Imagine you finally get the drone you recently purchased, charge it up and drive all the way to your local park… only for the fun to be over right after it began. Short flight time syndrome takes its toll on a considerable number of drones these days. However, considering rapid technological advancements in drone industry, more and more top-flight models offer unparalleled flight times. We’re talking anywhere from 20 to 30 minutes here. Unfortunately though, there are plenty of entry-level (and some mid-tier) drones still suffering from airtime issue. So, if you want your drive to the local park yielding a proper amount of flying, then I suggest you take a closer look at these 8 awesome drones with best flight times. Below them, there is also an honorable mention as well as 5 bonus entry-level drones for people on a tight budget. So, without much further adue, let’s see what we have in store for you today! At the top of our budget-friendly list lies a drone manufactured by MJX, a company which gained a huge dose of popularity with their Bugs 3 model. Bugs 2W is sort of a spiritual successor to the 3, receiving upgrades across all department and having a slightly higher price tag than the original. Still, it’s fairl cheap (especially when compared to drones from the first list) and provides great value for money. So, driven by that statement, let’s take a peek at this birdie and see what exactly does it bring to the table! Starting off with the camera, you guys will be happy to know that MJX Bugs 2W sports a miniature imaging solution which is a huge upgrade considering its predecessor was a cameraless drone. And it’s not one of those crappy VGA cameras. Instead, we are talking about an FHD-capable sensor with little to no shakiness present in your footage. As far as the quality is concerned, I’d say MJX Bugs 2W exceeds the average at this price point. Definitely a steal if you’re looking for a beginner-friendly drone for aerial photography. As stated above, GPS is the main characteristic of MJX Bugs 2W and the key to its huge popularity in recent months. Well, GPS along with altitude hold and one key return features which are of utmost importance for all smart drones. Add WiFi FPV to that list and you got yourself a steady array of features at a highly competitive price tag. In terms of specifications, MJX Bugs 2W is nothing short of brilliant. With more than 500 meters of operating range, it is by far the best casual option out of the bunch. Flight duration is spectacular too. This is partially due to its proprietary 1800mAh LiPo 2S battery and partially due to small size. We’re talking around 15 to 18 minutes per charge. Not bad, huh?! The runner-up position goes to Hubsan H501S, a brilliant mini-drone with powerful hardware and a great set of features. 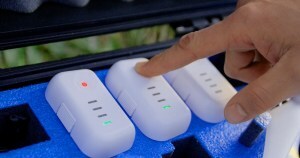 The biggest trait is the fact that it has integrated GPS as well as several other supporting features. That, combined with sleek design, is what makes Hubsan H501S such an excellent drone. It’s fairly cheap too, but that doesn’t mean everything else about it is garbage. On the contrary, I’m sure this birdie will amaze you with its great all-around performance. Hubsan H501S is a GPS-enabled drone. This is, needless to say, a huge plus since it allows several advanced smart features which aren’t that often seen at this price point. Mainly, I am referring to Follow Me, One Key Return, and Altitude Hold modes which will do you a world of good when it comes to taking selfies. Yes, Hubsan H501S excels at snapping crystal clear selfies thanks to its built-in camera. In addition to awesome selfies, it can also record aerial videos in 1080p resolution at steady 30 frames per second. Lastly, it sports 5.8G FPV which provides an immersive (and lag-free) flying experience that I’m sure you’ll all enjoy. At the very edge of the $400 drone range we have the Aton by Traxxas, a recent model on the market with a mix of flight modes and some great durability. Plus, we are talking about a sporty drone that can be used for both racing and aerial photography. I’m sure we can all agree that there aren’t that many models on the market who can do equally good at both. Well, Traxxas Aton can! The big thing to note here is, on its own, the Traxxas has approximately 15 minutes of lifespan in the sky, a great standard for this sporty little model. Roughly the same airtime can be expected in both modes and when flying without a gimbal and camera combo mounted. Combined with its stability in the air, fighting off windy weather and supporting camera payloads, an enthusiast will find themselves in possession of quality hardware. If you’re interested in drones with best battery life, this is definitely one of the models you should consider. Powerful battery combined with great flying experience is a winning combination. Since Traxxas is USA based company that has many years of experience in manufacturing RC products, I’m not surprised they produced such a great drone for still an affordable price tag. One more thing left to note – It looks like they have customer support that replies to all your queries. I have not tested it so I can’t say if it’s good enough. If you did, please let us know in comment section below. MJX might not be the most popular brand out there, but it sure as hell can manufacturer a solid drone every now and then. As a matter of fact, they have 2 models in the top 4 casual long-airtime drones list. This one is their biggest breakthrough – a model which brought them an incredible amount of popularity… and money. With that being said, it’s not surprising at all to see them releasing a spiritual successor that goes by the name Bugs 2W. More about that one down below. For now, let’s concentrate on Bugs 3! With that being said, I would like to point this out at the very start – if you are looking for a drone that can fly around for quite some time and you do not want to spend a lot of money on it, then MJX Bugs 3 might just be the one for you. Why? Well, in addition to its cca 500 meters of flight range (on of 12 Long Range Drones), which is quite enough for its price tag, this little fella also sports a high quality 1800mAh battery that allows it air-time of up to 15 minutes. I doubt you’ll find a cheaper drone with more air-time than this one. Moreover, it is also finely poised with a good design and solid build quality. The only real downside (for some of you, at least) is the fact that it does not come with a dedicated camera, meaning you will have to use your own. Still, considering it only costs a fraction of the price you’d normally pay for a high-end drone, MJX Bugs 3 seems like a winner. You’ve taken a peek at those professional drones above but they’re all way over your budget limitations. Well, consider yourself lucky because I have prepared another 5 contestants with great flight time/price ratio. The first in line is Altair AA108, a relatively new toy-grade drone whose main characteristics are excessively cheap price and great specifications. Let’s talk more about it! The first notable thing about this little fella is its miniature camera which runs the show in the front. It’s a mere 2MPX sensor that’s good at capturing an occasional selfie or two. Aerial videos look decent as well, but they’re recorded in a 720p resolution which is too low by today’s standards. Still, the camera performs above average for this kind of a price tag… so I suppose it can be marked as a plus. As far as features are concerned, don’t be surprised that it doesn’t sport a GPS module as it would be an overkill at this price point. Still, it comes with the basic versions of altitude hold and waypoints which are not that precise but still do the job more often than not. If you think all toy grade drones come with 5 minutes of airtime and 50 meters of range, I can’t wait to tell you – you’re wrong… Well, here goes – you’re wrong! And Altair AA108 proves that with style – this birdie can reach as far as 100 meters and can stay in the air for up to 10 minutes. Both of these numbers are quite impressive, and realistically speaking, so is the entire Altair AA108. If a tight budget is something you can’t bypass but you still want a drone with decent flight time, I believe Altair AA108 is your best option! Of course, potential needs a little help. Drones aren’t immortal in the skies, and there are hundreds of designs out there. From frame to blade, efficiency separates quality from fad-style cash-ins. One of the biggest factors is battery life, which then translates to good flight time. We are starting our journey off with a magnificent model made by GoPro. I’m sure most of you are well familiar with this brand and their marvelous Hero series of action cameras. Well, they seem to be entering the drone market… and doing it with style. Their Karma drone perhaps isn’t the most advanced (performance-wise) quadcopter out there, but it has accessories that justify for that. Generally speaking, we are talking about a highly sophisticated package that brings more than just aerial photography capabilities. Yup, this is an all-around photography wonder due to Karma Grip. 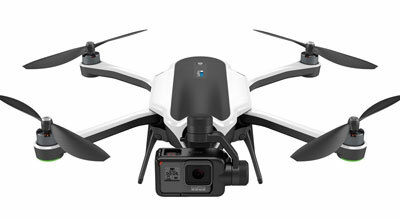 With it, GoPro Karma offers, in addition to aerial, both body and handheld photography. This, combined with the fact it supports GoPro Hero 4, 5 and 6 makes you realize what a marvelous photography platform we have on our hands here. The first thing that needs to be said about Karma’s specifications is its flight time. Running on a 5100mAh LiPo battery (4S, believe it or not), this birdie is capable of withstanding approximately 20 minutes in the air. This should be more than enough for you to enjoy your flight session and take several spectacular aerial videos… or dronies; who am I to judge… Operating range is rocking solid 3 kilometers which is not as far as DJI Mavic Pro, but still better than most other competitors. As we approach the tail end of the priciest drone models, performance and quality can be middling. Some expensive models could have HD cameras and durable builds but only sport 8-minute flight times. The Phantom by DJI, a brand that made up a good chunk of our list, counters this with a quality professionally minded set of hardware. Depending on your budget, this one sits in excess of $1000 USD, and you can opt-in for the full package or just the drone/camera, things like that. For flight time it’s pretty impressive, as its battery (comes with two) holds a charge for 23 minutes, so you’re looking at an extensive flight time drone. Operating range is amazing too – you’ll be experiencing from 4 to 5 kilometers depending on the area you’re flying in. When it comes to the price, things are looking better than ever. Due to new models hitting the market, the price of Phantom 3 series dropped a lot. Now you can get one of these for like $500. What a great time to be alive. 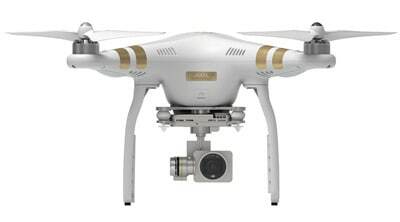 DJI Phantom 3 Professional is also suitable for both beginners and professionals. Parrot Bebop 2 sales have slowly started to ease up which raised alarms at Parrot HQ. That’s why they came up with several new packages to offer, including the one we will be focusing on today. As you can see above, we are going to discuss Parrot Bebop 2 Adventurer, a package that’s primarily targeted at adventurous people (who would’ve guessed, eh?) who want to spice up their endeavors into the wild. Let’s see what sort of special adventure-friendly features Parrot Bebop 2 Adventurer has to offer! The first notable feature is the package itself. You see, if you opt for Parrot Bebop 2 Adventurer package you will not only get the drone itself but a handful of accessories to boost its performance. Take SkyController 2 for example, it boosts the operating range by a significant amount (more on that down below in the specification section). Other than that, Parrot Bebop 2 Adventurer also provides you with FPV goggles (Cockpitglasses) and a specialized carrying backpack that can fit everything this package contains. As far as the camera is concerned, Parrot Bebop 2 Adventurer comes with a wide-angle 14MPX sensor. It sports electronic image stabilization (EIS from now on) which greatly helps with overall photo and FHD video stability. Combine that with several smart flight modes (yes, there’s onboard GPS too) and you’ll realize why is it such a popular choice for amateur aerial photographers. Starting off with the flight time, this birdie is fairing quite well thanks to its 2700mAh LiPo battery. It’s a proprietary one unfortunately, so you will have to purchase extra ones directly from Parrot or their Amazon listings. As far as numbers are concerned, you can expect anywhere from 20 to 25 minutes, depending on how you’re using it. As I’ve already elaborated above, the provides Skycontroller 2 boosts the operating range significantly. We’re talking up to 2 kilometers here which is a bit shorter than GoPro Karma. But, despite that, I value Parrot Bebop 2 Adventurer slightly higher in the food chain simply due to all additional accessories included in the package. 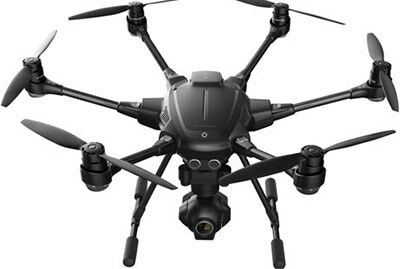 Yuneec Typhoon H is the only quadcopter on this list… and the most expensive one for that matter. But, it’s safe to say this is a professional drone considering its performance and build quality. 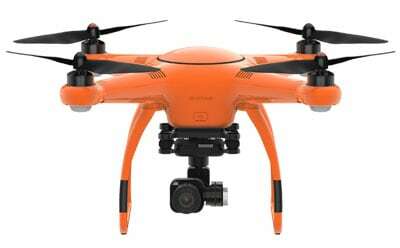 Plus, it can carry a fair bit of load too which is excellent for film-making or other industries which use drones as their workforce. So, that means you shouldn’t purchase Yuneec Typhoon H if you’re not planning on using it for commercial purposes. Well, I guess you can… if you can afford it. It delivers great performance and only the price is kind of a turnoff for casual users. Sure, if your budget can provide, then I guess GO FOR IT CHAMP! The stock camera on this birdie is known as CGO3 and it’s a fairly popular choice nowadays. It is mounted on a 3-axis gimbal for optimal stabilization and, truth be told, it does a great job in terms of image quality and smoothness. 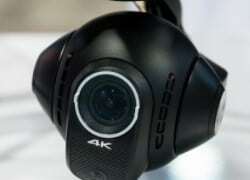 It supports 4K videos at 30fps and even slow-motion footage if you crank the resolution down a notch. With that being said, you can expect Yuneec Typhoon H to deliver exceptional aerial footage each and every time! Features-wise, this little bugger comes equipped with a bunch of smart flight modes such as Point of Interest, Orbit, Journey, Curved Cable Cam and more. But, more importantly, we’re focusing on the Pro RealSense version which comes with Intel RealSense technology installed. This is basically a sophisticated obstacle avoidance system that works in real time and effectively avoids all potential obstacles that are in drone’s patch. Plus, I almost forgot it features 5-rotor failsafe too, meaning it can land safely even with one of its rotors dying in midair. In terms of specifications, the first thing we will discuss is obviously the flight time. You should know that this beast of a drone sports a mighty 4S 5400mAh LiPo battery that’s able to power it up for quite a lot of time. More precisely, Yuneec Typhoon H can fly for up to 25 minutes per charge. Add approximately 1500 meters of operating range to that equation and you’ll begin to realize just how powerful Yuneec Typhoon H really is! Autel Robotics broke through on the market with this amazing drone. It is more of a high-end device, with a price to match those characteristics. It has an amazing number of smart features as well as top-notch specifications that will surely amaze even the most demanding of people. Starting off with the camera, you will be happy to know that Autel Robotics X-Star Premium features a (as its name suggests) premium 4K Ultra HD camera. It is mounted on a state of the art gimbal stabilization system which manages to capture silk smooth videos no matter the weather conditions. Combine that with an HD live view feature that works up to 1.2 miles away from the controller (the controller is included of course) and you have a good starting point for this one. Oh, it’s also compatible with FPV Goggles. Moving forward, Autel Robotics X-Star Premium features dual GPS + GLONASS navigation system for outdoor use which greatly helps with the autonomy of the drone. In addition to that, it is also finely poised with SecoreFly magnetic interference protection as well as the Starpoint Positioning System, both of which are patented by Autel Robotics. When it comes to the main specifications, X-Star Premium makes sure it stands good against its main competitors such as DJI Phantom 3 Pro and alike. With more than 2 kilometers of operating range and a fast charging (just 1 hour from 0% to 100%) battery that lasts up to 25 minutes, it’s quite clear that Autel Robotics X-Star Premium will not fail to deliver! Phantom 4 Pro represents the 4th installment in the Phantom series and the flagship (the Pro version) of DJI’s current generation of drones (head to head with Inspire 2, but more on that later on in this list). It is boosted with a 1-inch camera sensor which is quite an upgrade over the regular Phantom 4. It covers 4 times more surface area than the standard version and is capable of recording videos in 4K at silk smooth 60 frames per second. In addition to that, its state-of-the-art camera shoots 20mpx photos in both Raw and JPG formats. When it comes to other upgrades, you will be happy to know that DJI stepped up their sensors game and finally implemented obstacle avoidance into this beauty. It’s a feature we’ve all been waiting for quite some time now, and it is a real refreshment to finally see it in action. It works as smooth as possible and will definitely save you a ton of nerves in the long run. The controller has received a bit of a cosmetic upgrade as well, but more importantly, it has finally gotten itself a dedicated display which will make your lives a lot easier, at least when it comes to FPV. Specifications wise, it’s nothing short of brilliant, but that was also something we all expected from it. Its top speed clocks in at around 45mph (30mph with GPS turned on) and can last up to 7 kilometers without any interference or signal fails. Additionally, it’s battery is not to be taken for granted either – with half an hour of seamless flight duration (more like 25-27 minutes), needless to say – it’s one of the most powerful ones on the market. And that’s about it regarding DJI Phantom 4 Pro. There’s really nothing more to add to this amazing piece of tech gadgetry other than saying one final time – It’s just too good to be true… Good job DJI! Even though DJI Mavic Pro is a premium, high-end drone, it is extremely different from the likes of Inspire 2 and Phantom 4. You see, this is a miniature drone that is easy to carry around with you wherever you go. It can even fold, allowing it to fit into virtually any sort of compartment. So, mobility is one of its key virtues and what makes it so special in the first place. But, in addition to its small size factor, you’ll be surprised at what this little guy has to offer. It’s basically the power and performance of a Phantom 4 cramped up in a miniature package. With the recent success of selfie drones, it was just a matter of time before DJI made an entrance… and that’s just what DJI Mavic Pro is for. Competing against the likes of Dobby by Zerotech and S6 by Wingsland, at the first glance there is just one factor that’s completely clear – price gap. You see, DJI Mavic Pro is the only premium model in the selfie drones niche, making it rank much better than its competitors (at least when it comes to sheer performance). This little devil can reach up to 7 kilometers away from its transmitter while the standard in its niche is roughly 0.1km (100m). That just puts things into a whole another perspective. In addition to that, it also has a rather powerful battery that can keep it roughly 26 minutes in the air. That’s also amazing when compared to its competitors which last 10 to 15 minutes at best. Combine all of that with its 4K camera mounted on a miniature stabilization system, and you will understand that this little drone is no joke. Should I even mention it comes with DJI’s upgraded “drone follow me” feature? It really has the power of a Phantom 4 in an extremely mobile fashion, which is undoubtedly its main selling point. So, with that in mind, if you are looking for a great travel companion, look no further because DJI Mavic Pro is the friend you desire! The pinnacle of drone’s industry is out in a new fashion and, my oh my, it looks amazing. 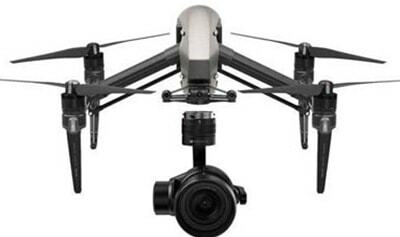 With a refurbished set of hi-tech features, a slightly improved design and breathtaking specifications that will sweep the floor with the rest of its competition, DJI Inspire 2 seems to be set for going up against the next generation of drones. As everyone expected, it is absolutely packed with sensors (DJI took a lot of effort with sensors when it comes to their new series of drones) and even features obstacle avoidance which is a system that took DJI quite a lot of time to master. Let’s not forget about the Zenmuse gimbal/camera solutions which bring unparalleled performance across the boards. Both amateurs and experts will have their way with this beast which puts their imagination to the test with exceptional features at its disposal. Still, it’s available with their newest series of drones and works like a charm. Specifications are something that DJI also worked a lot on. Luckily, they’ve managed to drastically improve their infrastructure and now offer up to 7 kilometers of flight range on all of their newest models. There is no doubt Inspire 2 is one of those pricier drones that will mostly be bought by people who will use them for business purposes. I really doubt regular Joe will spend that much money for a drone that they will mostly use for fun. Don’t get me wrong, it’s a fun drone, one of the most entertaining ones out there… But spending a ton of money for it just for the sake of some good old fun is just absurd… bordering on stupid. Now that you’ve seen 8 of the longest flying drones available on the market… it is time for something different. While it is being marketed as a fixed wing model, it’s not exactly a conventional one. It goes by the name Disco and it’s made by Parrot, a well-known drone brand. As a matter of fact, their Bebop 2 Adventurer model has been featured above. However, Parrot Disco is a hybrid between rotary and fixed-wing UAVs. It’s an interesting concept but unfortunately isn’t everyone’s cup of tea. So, even though it has the best flight time of all those drones featured above, we just couldn’t allow it to take the top spot. So, here at the bottom… as an honorable mention; here’s everything you need to know about Parrot Disco! Parrot Disco is an unbelievably gorgeous fixed-wing drone with sleek design and exceptional build quality. It is pretty big too, bigger than most commercially available drones nowadays. But, despite its size, it still has the longest flight time out of all 8 drones featured above. Why is that so and what are the exact numbers we are talking about here? Well, I am afraid that will have to wait until the specifications section. For now, let’s just focus on its camera and features which will tell us just how different flying this thing is in comparison to a regular drone. First of all, I would like to say a thing or two about how Parrot Disco performs. You see, it sports automatic takeoff and landing which is basically what gives it that hybrid feel to it. It doesn’t require a huge runway to takeoff which is the usual case with fixed-wing models Nope – simply throw it in the air after turning it on and it will automatically rise to the default flying altitude. Furthermore, it can be controlled with one hand since it always keeps the exact altitude no matter where or how much you turn. If you want to go more up or down, there’s no need to adjust the throttle, simply pitch in that direction and you’re good as golden. It takes a bit of time to get used to it… but the Skycontroller 2 makes things pretty straightforward. Camera-wise, this beauty rocks 14MPX wide-angle camera with integrated EIS, same as Bebop 2 Adventurer. It records aerial video in 1080p at 30fps which is somewhat of a standard at this price point. There’s FPV as well, which will surely provide you with an immersive flying experience. This is what you’ve all been waiting for, isn’t it? The flight time of this beast, as I’ve mentioned a couple times already, is straight up mental. You see, thanks to its ability to glide and generally having a better power consumption (which is usually the case when comparing fixed-wing to rotary UAVs), Parrot Disco has an unbelievable flight time of up to 45 minutes. That’s way more than any of the drones mentioned above and can surely be the prevailing factor for some of you. The range is not bad either. As a matter of fact, it’s the same as Parrot Bebop 2 Adventurer – roughly 2 kilometers, all thanks to Skycontroller 2. How to improve your drone’s flight time? The easiest method of increasing your battery’s duration is definitely removing prop guards. The downside – not all drones have prop guards so you might have nothing to remove. Still, if your drone does have them, chances are high they’re removable. Shaving off a few grams by doing just that will give you a slight boost in flight duration which means more fun and more aerial footage. Getting rid of the camera is always a great flight extending solution. However, this might be a no-no for people who want longer flight times just for the purpose of recording more aerial videos. They wouldn’t be able to do that after removing a camera, would they?! For those who don’t give a crap about aerial photography and just want to fly around for a bit, unmounting a camera is a no-brainer! Well, this one goes without any question. Purchasing several extra batteries will definitely significantly increase your overall flight time… with a few pit stops. Keep in mind though – you’ll want to charge them all at once so buying a 5 in 1 LiPo charger would do you a world of good. One more thing – if your drone sports brushed motors, give it a rest for 4-5 minutes after each consecutive flight. Besides flight time, what are other important traits in a drone? Camera is the first thing that will pop into your mind. And you’re right -camera is of utmost importance for virtually every drone available on the market. That and the provided gimbal (if it has one, it’s a big plus) are supposed to make up for admirable aerial footage, especially for people who want to get into the aerial photography business using their drones with cameras. If you want your drone to be able to hover at a constant height without needing to manually adjust its throttle, then what you need is a proper drone with GPS. That combined with a feature called Altitude Hold will enable your drone to perform a steady hover, allowing you to concentrate on snapping the perfect selfie or recording smooth aerial videos. Yup – Altitude Hold is another brilliant feature that’s well worth exploring before purchasing a new drone. Just like I said above, if you’re up for having a highly stable flying experience, then GPS and Altitude Hold drone is an obvious must. This goes without a doubt for professional photographers and filmmakers as they couldn’t do their jobs if it wasn’t for these 2 features. And last but not least – drones with follow me mode are an absolute must for those with adventurous spirits. Hikers, mountain bikers, skaters and pretty much everyone who indulges in some sort of outdoor activity. By investing in a drone equipped with Follow Me feature, they’re basically getting an autonomous aerial platform capable of producing amazing pieces of aerial art. What is a good flight time for different usage scenarios? Professional aerial photography can be a tricky situation since it heavily depends on the amount of footage a drone needs to record in a single flight session. With that taken into consideration, it’s safe to say that professional aerial photographers should not go for camera drones whose flight times are less than 20 minutes. On the other hand, professional aerial photographers who are serious about their business should definitely invest in dozen extra batteries if they are to meet the criteria of more demanding clients. It comes at a high cost but will definitely pay off in the long run. Drones are ever so popular in the filmmaking industry. 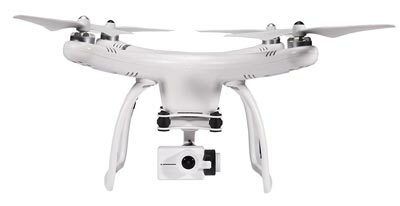 They are relatively cheap (and this is a widely loose term) but can provide with an exceptional aerial footage. Combined with professional pilots licensed for commercial piloting, drones used in filmmaking are becoming an industry branch of their own. 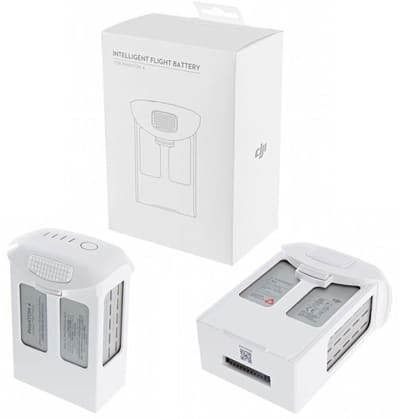 For this usage scenario, you’ll need at least 25 minutes of active flight time as well as a battery which incorporates quick charging technology that will allow you to switch between extra ones in a quick manner. These are very popular among real estate agents with drones. Is it worth buying extra batteries? This heavily depends on the usage scenarios mentioned above, but here’s a quick overview once again. If you’re a casual user who likes flying drones as a past time activity, then you most likely won’t need extra batteries. Most modern drones tend to have between 15-25 minutes of flight time which is more than enough to saturate your thirst for drone piloting. On the other hand, if you’re a commercial user you might profit from extra batteries as they will allow you more action time from your drones. This is especially true for filmmaking and professional aerial photographers, all of which greatly benefit from extra batteries and fast charging technology (more on that below). What about fast charging – Is it worth it? Another very interesting technology has just reached its peak. With smartphones being the first gadgets to incorporate fast charging technology to their batteries, it is quite clear that the era of incredibly fast charging has just begun. More and more high-end drones offer virtually the same concept of quick and efficient charging. While conventional batteries in mid-tier drones take roughly 2 to even 4 hours to charge, those equipped with the fast charging technology can charge in an hour, hour and a half tops. This is especially convenient for filmmakers who can greatly benefit from extra batteries and fast charging technology, allowing them to operate their drones for roughly the entire day without being out of juice. Long story short – if you are using drones for commercial purposes which require prolonged usage, then batteries that incorporate fast charging technology are definitely worth it. On the other hand, if you are a casual user who is flying drones for the sole purpose of having fun, then there’s no need to put a strain on your budget and get a drone equipped with a fast charging battery. So, it’s time to see what are drones with longest flight time! Next in our list, the Chroma sits at the very edge of the $600 USD price mark, but for good reason. Cut in half from a prickly $1200, the Chroma also holds champion in this range with up to 30-minute flight time. This is because its design is primarily made for camera recording and functionality, versus speeding about with impressive aerial feats. However, with this extensive lifespan and ability to capture video at 1080p, it’s a good grab for the “vacationer” kind of hobbyist or those who like to get crisp images during use. If you like drones with the longest flight time this is a solid choice, we feel. Our first pick landed on the list for having an excellent starting price of around $40-$50 USD (depending on where you get it from) and a great flight time versus charge time. While it can only scour the skies for about 6 to 8 minutes, it’s total charge for full battery is about 50-70 minutes. Other models in similar price/size ranges require longer times and get about the same flight duration too. However, it’s smaller in design and more or less a great starter drone to get a feel for how they operate, so if you’re looking to record or mount payloads, you’ll want a different make. 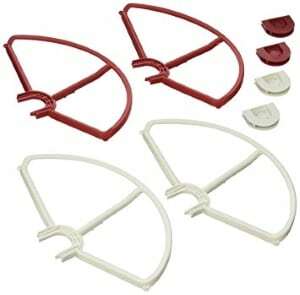 Since it comes with blade protectors, you’ll have no problems when flying it indoors. That comes especially well during winter and windy days. 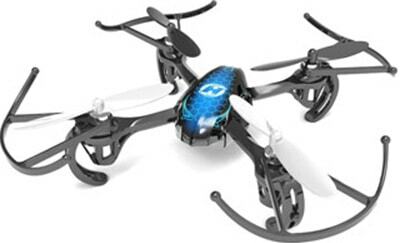 These types of drones are often bought from parents to their young kids (Top 10 drones for kids). For the relatively low price, your kid will get a lot of fun with this little fella. If you want professional drones with extended flight times, you’ll have to move up a model too. Next up, the MJX helps introduce newcomers to the glory of video recording, proudly featuring its 720p resolution capture. A nice touch, and even nicer is the lengthier sky time of roughly 8-10 minutes, even though it’s not a drone with the best battery life. The quad-heli style drone currently sits at around $100 USD, marked down from its original plus $200 pricing. So, if you’re looking to budget but still want a cut above the intro brands while having some decent fly time, the MJX is a fine middle ground. We have tested several their drones (you can see results in “reviews” section of our page) and we can say they offer good value for the money. All in all, I believe the folks over at MJX are on the good way to grow into one of the most recognizable drone manufacturers in this “low” price range. Do you have any experience with MJX drones? Keep reading, we’re getting closer and closer to longest flying drone. Parrot has become a staple in the hobbyist drone field, especially for those looking to utilize GoPro cameras or the like. No surprise, as their models, including their Elite AR model here, feature nice payload capacity and one of the better drones with high battery life. This particular drone handles roughly 12 minutes in the air, depending on what you’re doing. However, better times do exist if invest in batteries with higher charge, reaching flight times of up to 20 minutes. Along with its $270 price tag, this might be the standard in your drone collection. Coming to an end, I can assure you that Parrot AR 2.0 is a great purchase since it provides awesome price/performance ratio. So, if you need a solid drone that can fly for quite a long time and is remarkably safe to use, then you cannot go wrong with this one! But still, Upair One is not one of those cheap copycat drones that are all looks and no show. Not by a long shot! You see, Upair One is a solid all around drone with a great camera. Come to think of it, it actually allows you to choose between two cameras, 2.7K and 4K one. The price gap isn’t huge (around $50) so I warmly recommend you going for the 4K option. With exceptional build quality, great controller that features a 7-inch FPV capable display and solid specifications, Upair One cements its place as one of the best medium price drones available on the market. Feature-wise, it is nothing short of brilliant with position hold, headless mode, and one key return; all the essentials you need from such a drone. Specification-wise, Upair One does not fail to deliver. It sports a powerful 5400mAh battery that gives out approximately 18 minutes of flight time. On top of that, it can reach up to 500 meters of seamless range which is praiseworthy in this price range. All in all, Upair One is an excellent drone that performs decently across all departments. It looks like the Phantom lineup so a few knowledge-lacking eyes will mistake it for one of DJI’s masterpieces… and that’s always a good thing. Right? It’s pretty hard to ignore the quality of the Phantom in respect to both its enormous price cut (basically down from $1000) and healthy battery life. While likely some manner of conservation is used by its “smart” battery, the Phantom boasts a ~20-minute sky life with a flight range of nearly half a mile. With this impressive range, and at approximately $500 USD, this is where enthusiasm for the hobby starts to pay dividends. 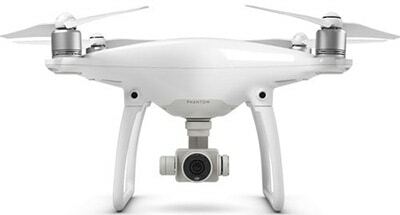 It used to be much more expensive but price has dropped after DJI announced new generation of Phantom series : Phantom 4. Now it is right time to buy one of these drones with best flight time if you’re interested in them. For such a “low” price you will get safe and reliable drone that performs well in air. It has camera that is still considered as one of the finest on the market. 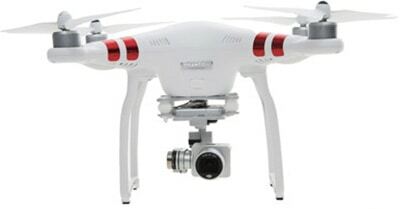 DJI Phantom 3 can be suitable for both beginners and professionals. Do you agree? It might sound crazy when I say this drone is suitable for beginners, but please take a look at “Phantom 3 Pro” section down below where I explained myself. I would like to hear your opinion in comment section! We’re getting into pricier models now, but with higher value comes higher performance, and the Yuneec Typhon really delivers. Along with its extra blades and double battery equipment, it sports some extremely impressive specs which are sure to please. On average, it boasts sky times of approximately 20-22 minutes, while also capable of reaching heights to about 8000 feet. It’s definitely one of the longest flying quadcopters. What’s even better is the fact it comes with its own camera and carrying case too (of course, you can buy it without carrying case if you want). 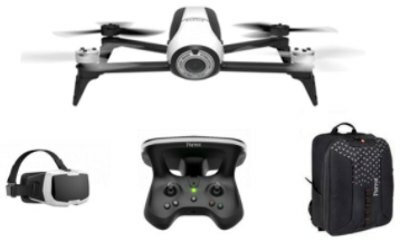 Overall, it feels like something a professional would use, and in this price bracket might be one of the drones with the longest battery life. We shouldn’t forget it’s futuristic design, it is really eye catching. In the world full of Phantoms, Yuneec Q500 will bring up many question “woah, what’s name of that drone?”. There’s no doubt Yuneec did great job with this model. Since it comes with aluminum case where you can put your drone and all your accessories, it will make your life much easier if you like to take your drone with you on trips. In this price range there are few champions tested in terms of performance and life, but among those few the Solo remains a strong contender. This mark on our list was a little tricky, as in fact it sports only 20-22 minutes of fly time versus say, the Typhoon. It’s basically one of the best drones with good battery life, relatively speaking. If there’s a drawback to list, it’s that this miniature powerhouse sits right at the $800 point, so all the performance does come with a literal price. It’s often called “smart drone” because of all it’s features. Also, 3DR promised to keep its software regularly updated for following years. For now, we have no reason not to trust them. UPDATE : Since I published 1st version of this article, 3DR has updated its software several times. During that period, many features were improved while some new were added too. I believe some of you guys will find this information helpful when buying your new drone. It is always good to know that manufacturers are holding your back, and that they will fix potential software issues when they appear. So, with that in mind, I would like to ooze off this one and get ready for the top 5 drones with long flight times! Long flight time is crucial for aerial application like inspection,surveillance etc.However current battery technology is a limit for this,so I think the best solution for the time being is to build a lightweight and tough enough uav frame.Also the VTLO fixed wing is a good option. What about the DJI Magic Pro. That can fly 27 minutes. It's priced at $999.99 and has some of the top tech features. iMHO this is the best drone for the money. If not it's best getting the original bebop and putting on an extended battery, heck at $599.99 you can get the bebop 2 from parrot and that has a 25 minute flight time with gps (Like the original) but it's advertised out of the box at that Time and for an amazing price. What about the xk detect x380 with a flight time of 302 min.